In an otherwise unremarkable building, off Rushmore Drive in the Ballantyne Corporate Park, is the headquarters of ESPNU, ESPN Events and SEC Network. If I didn’t know better, I would have believed they sold Dunder Mifflin paper from this building. Non-descript is an understatement. To put it into perspective, essentially, a couple of hundred people in this complex are the catalyst to thousands of hours of sports programming, available to an astronomical number of millions of people around the world. Many Charlotteans are unaware of ESPN’s presence in our town, and even fewer are familiar with the range of their operations. ESPN largely flies under the radar here, they’re focused on their craft and not the notoriety that usually accompanies their moniker. ESPN formed ESPN Regional Television (ERT) in 1997, after purchasing locally based Creative Sports and California-based OCC Sports. 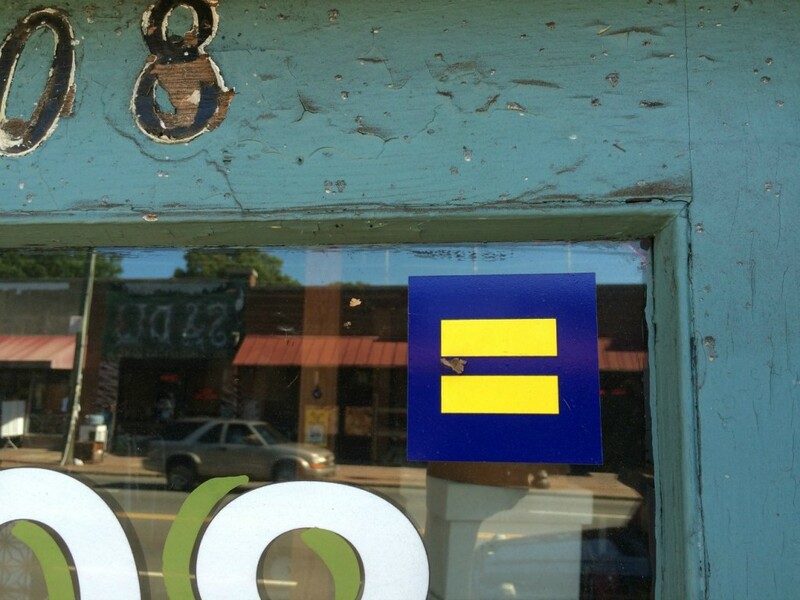 It was a small shop in 1997, the office was on Little Avenue (off Pineville-Matthews Rd.) and the production facility was across from Carowinds. The original plan was to move the operation to Orlando, but in the spring of 1998, ESPN put a hold on the move and decided to set roots in Charlotte. 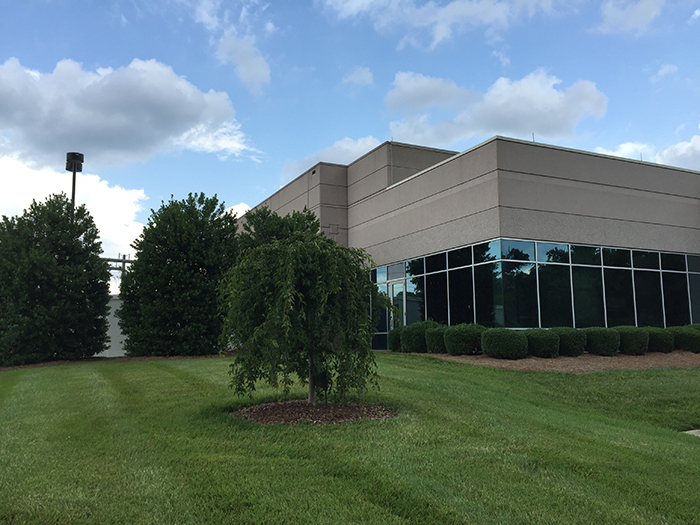 ESPN was a Ballantyne pioneer, their current building being one of the firsts in the area. Wait, tell me again what they’re doing? The bottom line is that TV gets made here. 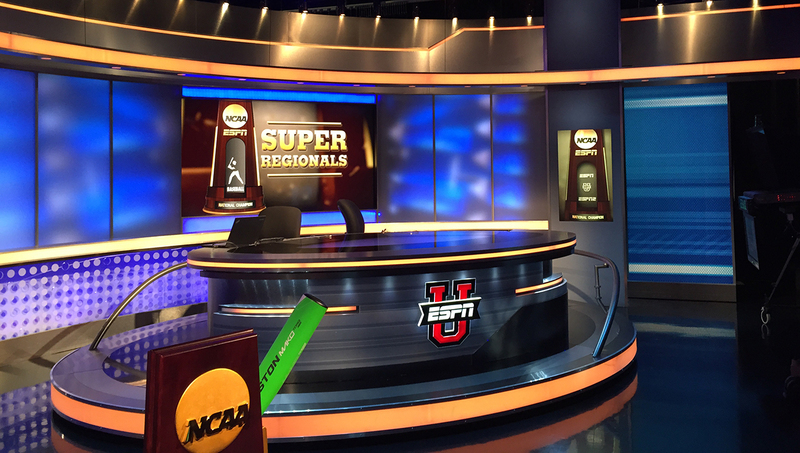 Though some of the programming is packaged, most of everything you see on TV from an ESPNU and SEC Network studio environment emanates from Charlotte. ESPN Events is here, too. ESPN Events owns and operates a portfolio of collegiate sporting events, including three Labor Day weekend college football games, 13 college bowl games, nine college basketball events and two college award shows. Most everything that goes into running these massive events happens here. The people are talented, can multitask, and are cool as cucumbers. There’s approximately 200 ESPN-ers here — anchors, announcers, producers, directors, engineers, and more. For a company that participates in such a high profile industry, the people in this Ballantyne office are very casual about their notoriety, modest about their craft, and more personable than probably makes sense. 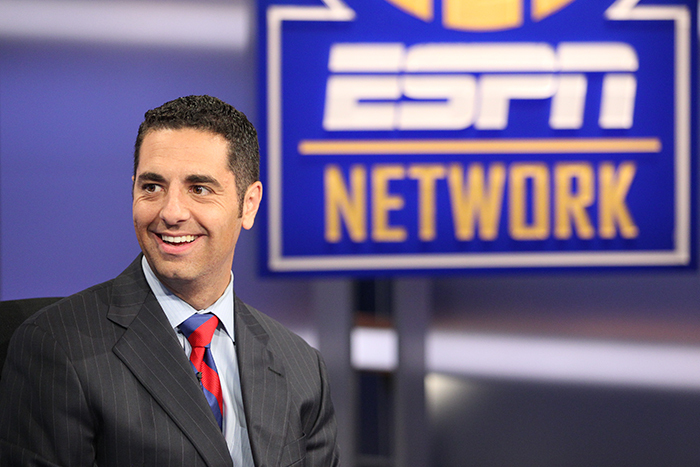 We spoke briefly with several ESPN-ers, including SEC Network host, Dari Nowkhah, as he was preparing to fill in on The Paul Finebaum Show. Less than an hour before he was set to host the epic 4 show, Dari chatted with us like it was no big deal. Their office is like yours, but not. 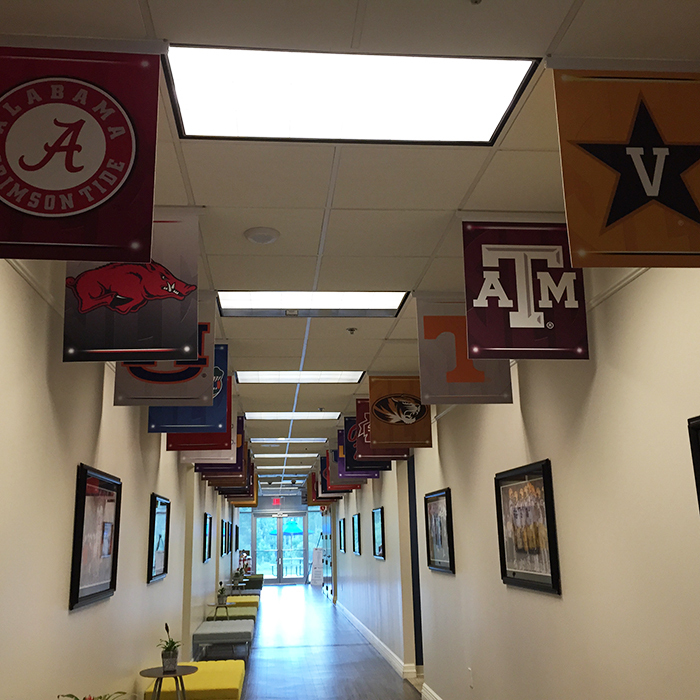 The ESPN and SEC Network offices are like yours, with cubicles, window offices, bathrooms and a break room. And that’s pretty much where the similarities end. I can’t even put into words the staggering number of TV and computer screens in this complex. It’s mesmerizing and impressive. I have a difficult time keeping track of the remote for the 1 sad TV in our house. Their funny office culture consists of stuffed koalas that make studio and other random appearances, thanks to koala loving host, Peter Burns. His allegiance to these marsupials is unusual and endearing. Now and then, there’s communal food left in the break room, and it disappears in a college minute — each associate has their own food play mapped out with the fastest route to the break room. 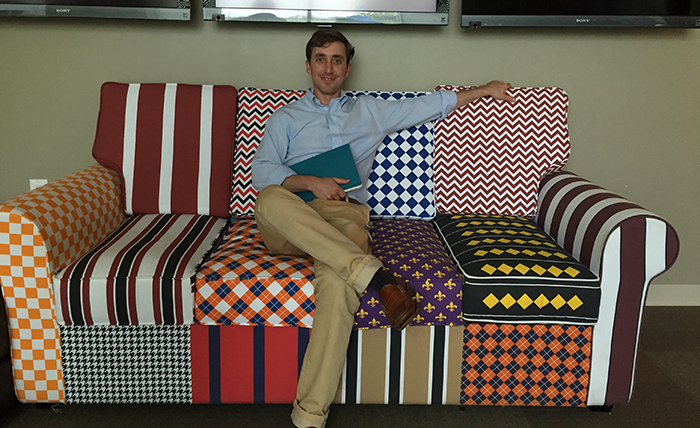 Seating in the green room features a custom made couch that includes fabric to represent every SEC school. 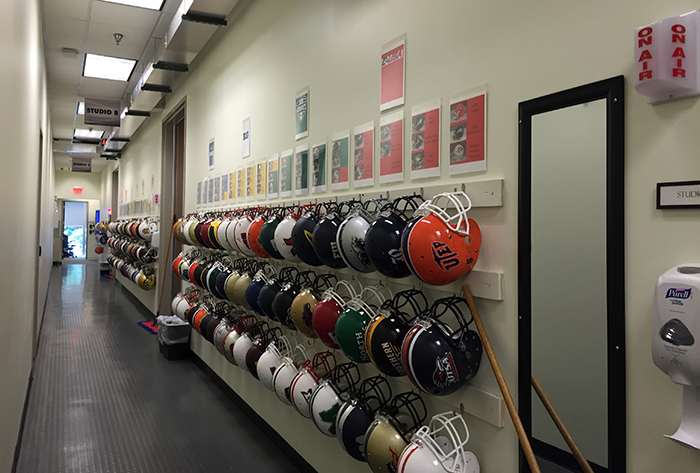 Speaking of schools, the décor here is amped up with college football helmets and flags. Ted went to Washington and Lee and I went to William & Mary. Surprisingly, we did not see our schools represented. I heard Washington and Lee excels in ping pong. 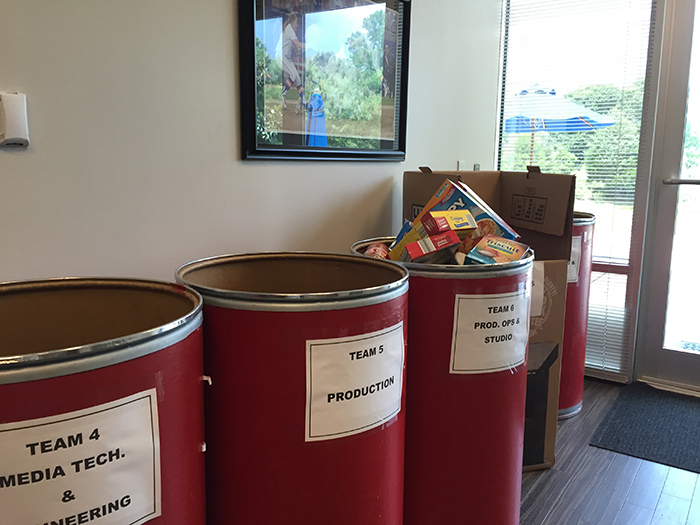 They are naturally drawn to competition, with even food drives broken up into teams by department. Undoubtedly, each team is seeded, there’s daily smack commentary, and one team’s mascot is a koala. SEC Network is doing things, and doing them well. SEC Network launched in August 2014 from Charlotte and has been touted as one of the most successful launches in cable TV history. That’s a big statement, and they are living up to the hype. Less than a year since launch, they reached their first year goal of 1,000 exclusive events in April of this year. Charlotte was chosen as the headquarters for SEC Network due to the existing ERT presence, proximity to many of the SEC schools, and for the ease of travel from the Charlotte airport. Paul Finebaum, the “voice of the SEC”, joined ESPN in August 2013 and with the launch of SEC Network in August 2014, added a television simulcast of his radio show. Finebaum moved to Charlotte from Birmingham, bringing with him instant credibility to the SEC Network. Remote programming is going to revolutionize sports TV. 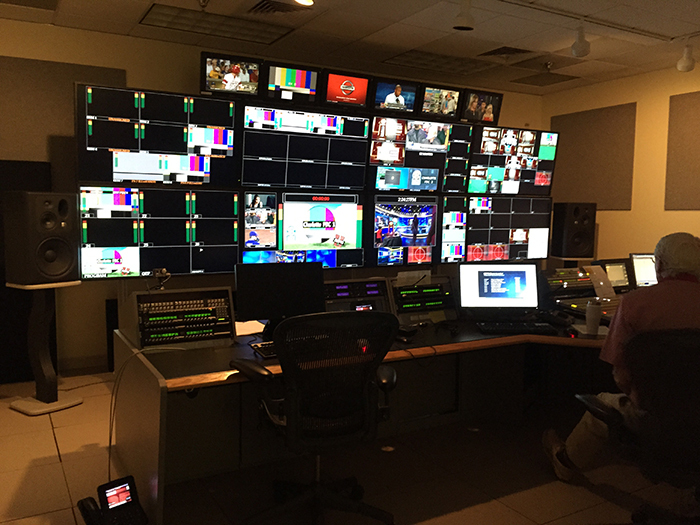 There’s been a lot of discussion recently about remote programming, the advent of which has the ability to change the landscape of sports broadcasting from a cost and range of programming perspective. If done correctly, the impact to the viewer, in terms of quality, is seamless, but the impact to the back end of operations, from a resources perspective, could be huge. 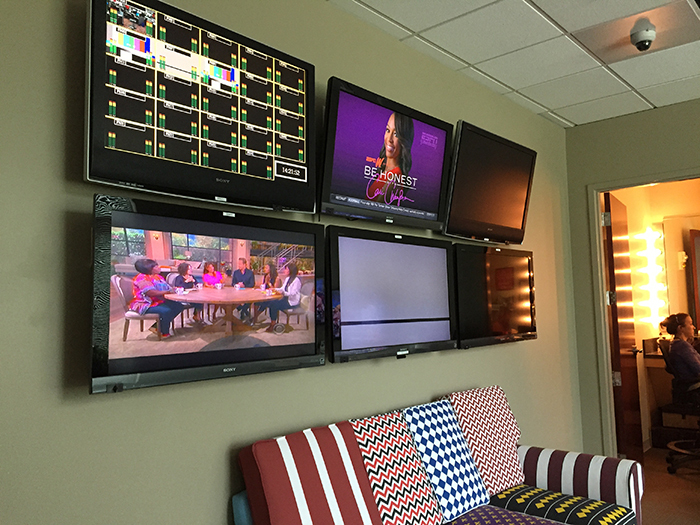 Essentially, connections now are lightning fast and while ESPN will still deploy production trucks to games for cameras, audio, and engineers to be on site, the “control room” aspect, the producers, directors, and rest of the infrastructure necessary to air the game and tailor the viewer experience, can happen in Ballantyne, in real time. The rollout of remote programming is still in the experimental phase and though it’s logical to assume that it would create more production-related jobs in Charlotte, it’s too early to get a read on the impact to our local economy. Still, the prospects of remote programming is exciting for viewers. As remote programming is evolving, ESPN will learn how to shift human and cost resources, which could mean elevated coverage of existing high profile games as well as opportunities to cover some of the lower profile events and sports. Many of the people that work in this office are Charlotte transplants from the North. They’re spread out in areas like South End, Ballanytne, Cotswold, and Indian Trail, but all love the ease and comradery of Charlotte. In fact, in 1998, when the move to Orlando was put on hold, there was palpable relief and joy in staying in Charlotte, a city easy to love. When not traveling, the younger brood frequents breweries, like Sycamore, and eats pizza at Selwyn Pub. How did I not know they were here? The ESPN-er’s are proud of their work and network but are very modest and down to earth people. Though they’d be justified, they don’t talk sports constantly when not on the clock. They’re very stealthy and could be easily mistaken at school events or t-ball games for any banker in town. 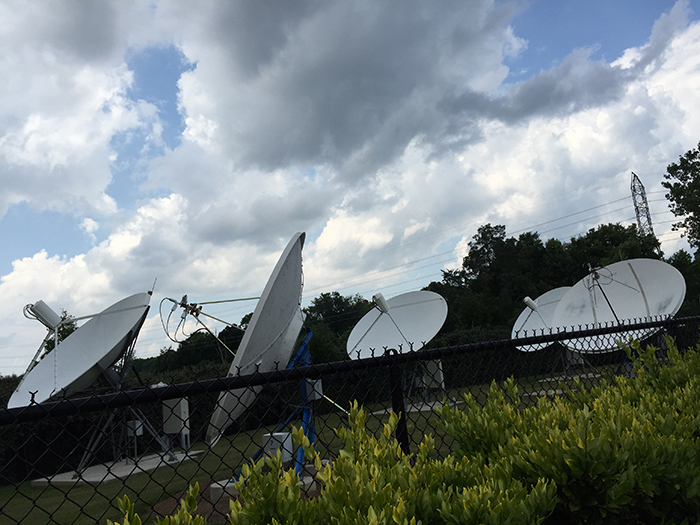 The Ballantyne office is tucked back in the Corporate Park, public tours are not offered, and the satellites are not easily visible from any major street. 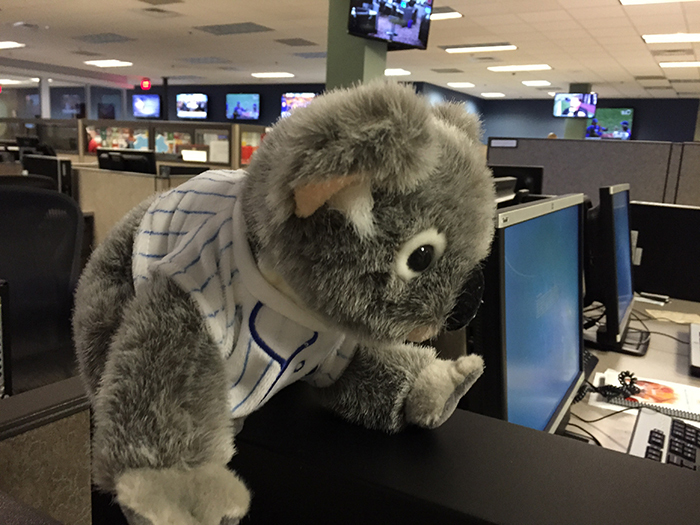 Though Ted shares a name with a baseball legend and I love sports and koalas, there were no job offers lobbed our way during our visit. It’s clearly our loss, as working in this office could easily be the pinnacle of anyone’s career. If you’re looking, they are currently hiring an Associate Producer for SEC Network, more details here. As Senior Coordinating Producer, John Vassallo, shared with us, you need to want to get your hands dirty to survive in this industry, but the payoff is priceless.